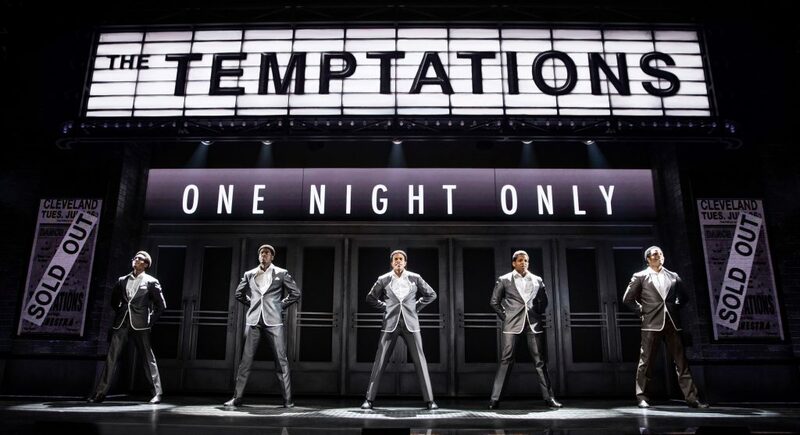 There have been 24 Temptations since the legendary singing group’s 1963 inception, but there’s one voice that dominates Ain’t Too Proud: The Life and Times of the Temptations, the latest Motown-inspired musical to land on Broadway. Otis Williams is the last survivor of the original group, and like a catchy bass line you can’t seem to shake, nearly every moment echoes with his undercurrent. 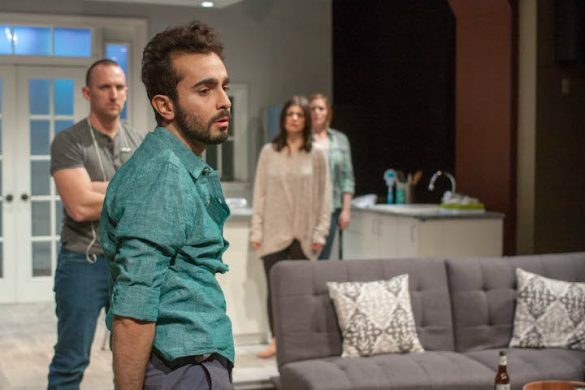 The musical has Williams’ name all over it — and not just as a character charmingly portrayed by Derrick Baskin (Memphis, Whorl Inside a Loop). His memoir serves as the basis for the musical, and he’s also credited as an executive producer. Book writer Dominique Morisseau sticks close to the source, and as the action propels forward, one can understand Williams’ decades-long struggle to keep five big personalities in the spotlight. It’s easy to get caught up in Ain’t Too Proud’s familiar songbook, anchored by the group’s nine Grammy Award nominations and four wins, including a 2013 Lifetime Achievement Award. 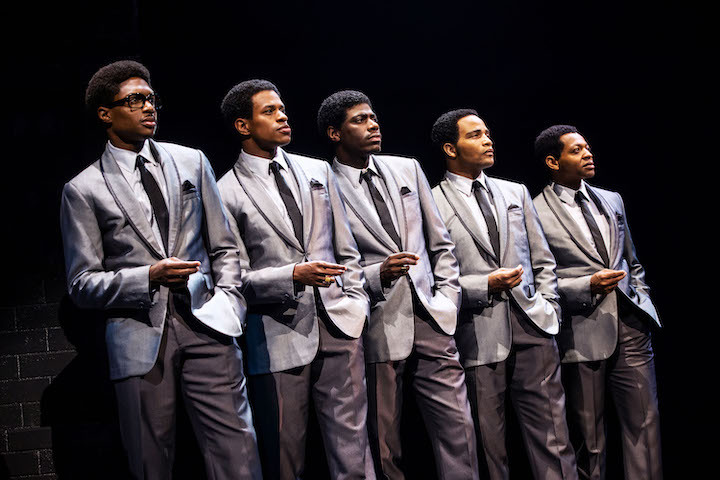 Their music, along with that of The Supremes, The Jackson 5, Smokey Robinson, and others, defined the music of Motown. But underneath the hits simmered a societal disparity that impacted the men. “Country boys had to change their game quick up north,” says the fictional Williams of the acclamation from the segregated South to Detroit’s burgeoning metropolis. 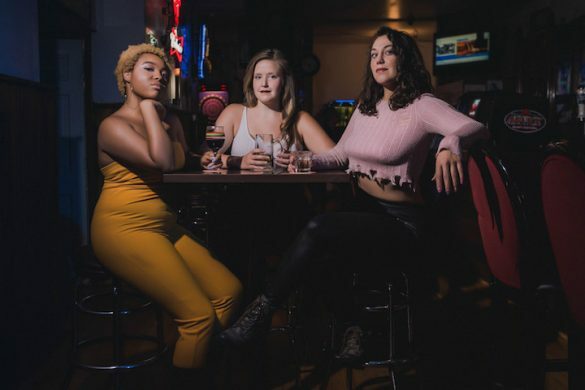 Faced with five interwoven storylines, Ain’t Too Proud predictably introduces the “Classic Five” members, trimming their character traits, trials and tribulations down to digestible bites. But the exceptional performances, supported by an ensemble that collectively exudes scintillating swagger through Sergio Trujillo’s palpitating choreography, are nothing short of electric. Famed producer Barry Gordy (played with odd affectation by Jahi Kearse) carefully shepherded The Temptations toward a crossover trajectory, telling them, “When folks see five black brothers on their TV screens, they’re going to see five gentlemen.” Their rise to success came with a price, as drugs, alcohol and domestic abuse riddled its way through the group. Ain’t Too Proud deftly navigates between the personal and the public under Des McAnuff’s swift guidance. The two-time Tony Award-winning director was a logical choice to mount the bio-musical, having scored big with 2005’s Jersey Boys. 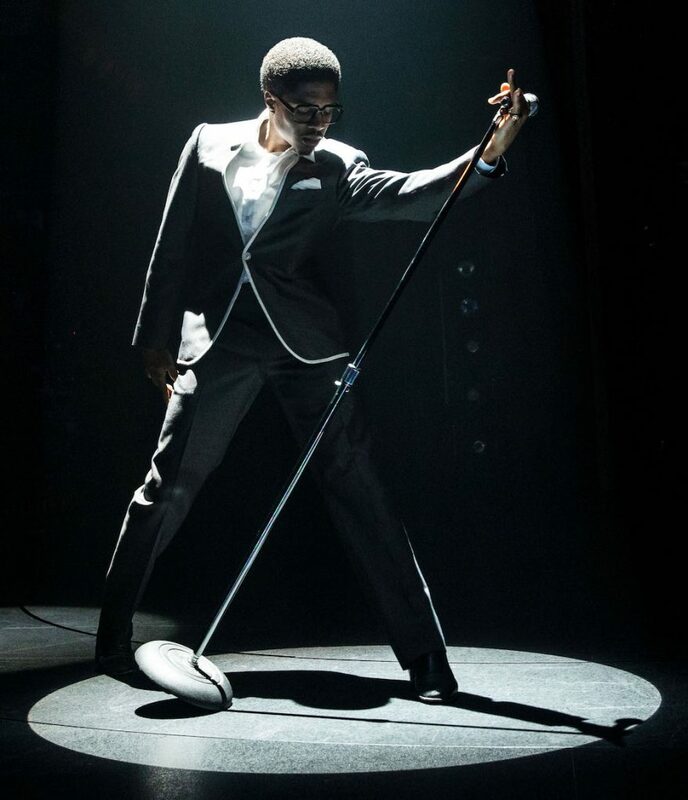 On an intimate level, we witness Paul Williams’ broken vulnerability (portrayed with fierce emotional agility by James Harkness) who helped define The Temptation’s signature moves, or David Ruffin (Ephraim Sykes in a breakout performance), the group’s unpredictable yet undeniably talented lead singer. Ain’t Too Proud’s chronological format doesn’t break any new ground in the slew of bio-musicals that have arrived on Broadway over the last decade. Much like Beautiful: The Carole King Musical and Jersey Boys (and unlike the wonky triple casting in The Cher Show and short-lived Summer: The Donna Summer Musical), Ain’t Too Proud spoonfeeds its soul food, and audiences will eat it up. The physical production, featuring a lean scenic design by Robert Brill brought to life by Peter Nigrini’s projections, looks like it’s ready to be boxed and shipped out across America. Matthew Wexler is the Broadway Blog’s editor. Read more of his reviews at wexlerwrites.com.